Lying on the southern side of the Florida Peninsula, Miami is one of the cities of the United States. The city is essentially divided into two- Miami, the mainland city, and the Miami Beach. 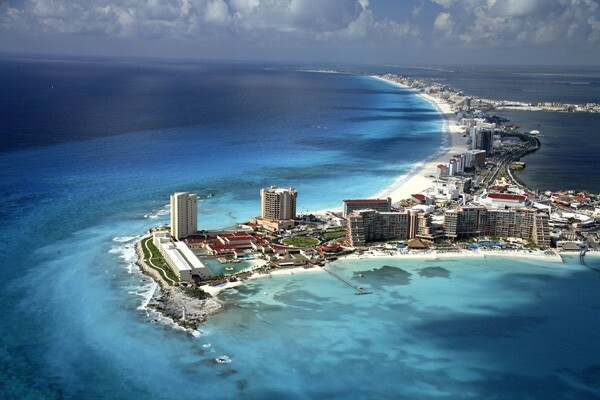 They turquoise waters and white sand beaches of Miami have been attracting tourists since ages. There are many things to do in Miami. Whether you like to party all night or explore the natural wonders, Miami will offer everything to you. 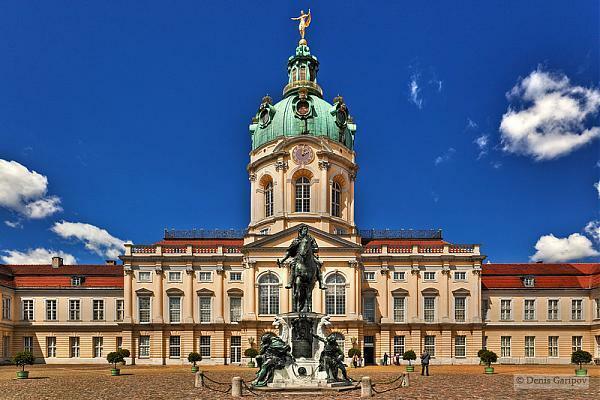 You will find splashy art galleries and some of the excellent celebrity hotels. And how can you forget the modernist architecture and beautiful people of Miami. Miami Beach is a separate municipality from Miami. It is located on an island connected to the mainland by a series of bridges. As the name suggests, Miami Beach is known for its beaches. The area features numerous restaurants, hotels, shops and gives plenty of sunbathing opportunities. Ocean Drive is a popular street in Miami. It is a section of road located along the oceanfront. Paralleling the Ocean Drive is the Collins Avenue, the main oceanfront street in Miami Beach. Here you will find plenty of trendy restaurants, shopping ends, and hotels. Read a book or just chat on the edge of the beach- It will give you an amazing experience. Even the food is spectacular here. Art Deco District is an architect’s paradise. It is the first 20th-century neighborhood to be recognized by the National Register of Historic Places. The place has 800 structures built between 1923 and 1943, each with a historical significance. It will bring back the memories of the earlier Florida with its wonderfully restored buildings. The buildings are an iconic part of the place. The pastel colored buildings with neon sign displays and porthole windows are truly eye candies. Located at the southern end of the Miami Beach, South Beach is the most popular section of Miami. Your visit to Miami will be incomplete without a stop at South Beach. This trendy locale offers everything that you are looking- from high-end shopping stores to the dazzling clubs. The beach is a popular tourist attraction during the summers. In winters, people come here to stroll around. It offers a varied mix of excellent galleries, stores, and boutiques. It is also a culinary hot spot for everything- from gourmet to casual beachside cuisine. The beach comes alive at night with crowds for an evening out. 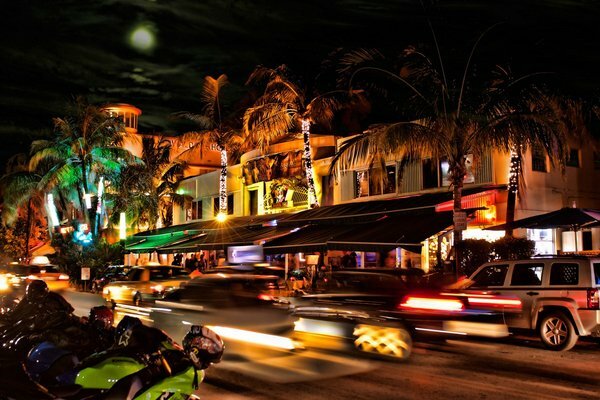 Take a stroll down the Lincoln Road in the evening. The Jungle Island is a theme park and a tropical bird sanctuary of Miami. It offers a fun opportunity to get up, close and personal with the animals in their natural habitats. It features exotic reptiles, orangutans, a playground, daily animal shows, a petting zoo, and parrots. There are over 1,100 birds, some of which take part in the daily shows. The garden has around 2000 varieties of exotic plants, orchids, and bromeliads. A popular show hosted at the Parrot Jungle is the nocturnal creature presentation and the reptile encounter with a white alligator. The price of the ticket is $27.95 for adults and $22.95 for kids. The theme park also hosts field trips and educational programs. The Jungle Island is located near downtown Miami. 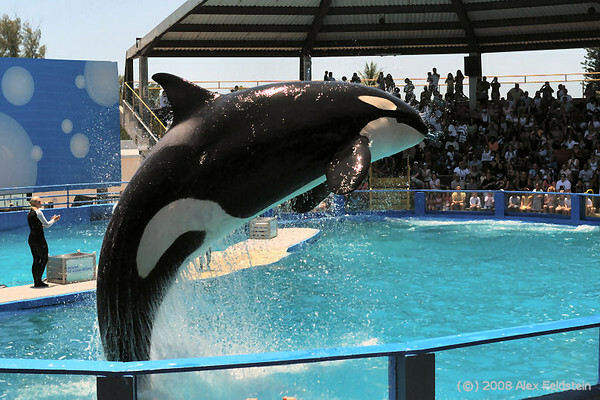 The Miami Seaquarium is one of the most popular family attractions in Florida. The Seaquarium is involved in the rescue and rehabilitation of Florida’s endangered manatees. It is located on the causeway between the downtown Miami and Kev Biscayne. It is a 38-acre marine park featuring killer whale, dolphin, and sharks. The observation tank contains sharks, alligators, and tropical fish. The Seaquarium offers the facility to ‘swim with the dolphins’. The programs promise to teach the behaviors’, nature and physiology of the dolphins. It is the place where you can witness an outdoor aquarium experience in the tropical climate. Make sure you have enough time to spend at least half a day here. The ticket to Miami Seaquarium is $31.95 for adults and $24.95 for children. 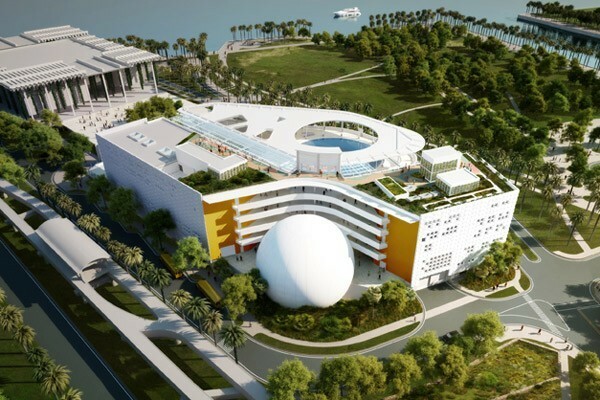 The Miami Science Museum offers an entertaining and educational experience for both adults and children. It is a great place to visit when you are on a vacation or a weekend family outing. The Miami Science Museum hosts a number of interactive exhibits covering a wide variety of scientific fields like physics, biology, and chemistry. The exhibits are featured on a rotating basis. The Miami Science Museum houses the Miami Planetarium, famous as the home of Jack Horkheimer’s Star Gazer television show. The planetarium features daily shows, video projection, and lasers. The museum is also home to the Weintraub Observatory’s two powerful telescopes. Coconut Grove is a charming, bayside village located within the urban dynamic in Miami. It is the oldest inhabited neighborhood of Miami. 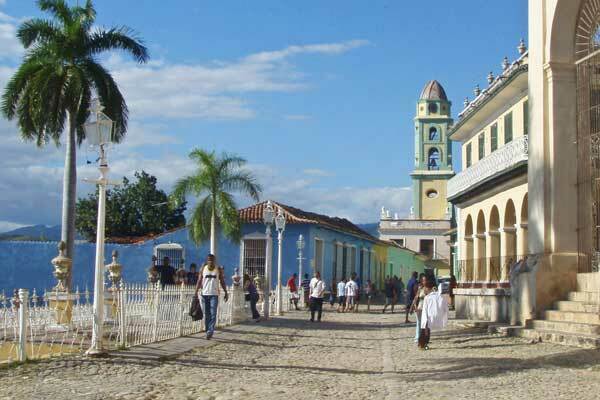 The village is lined with galleries, boutiques, and cafes. 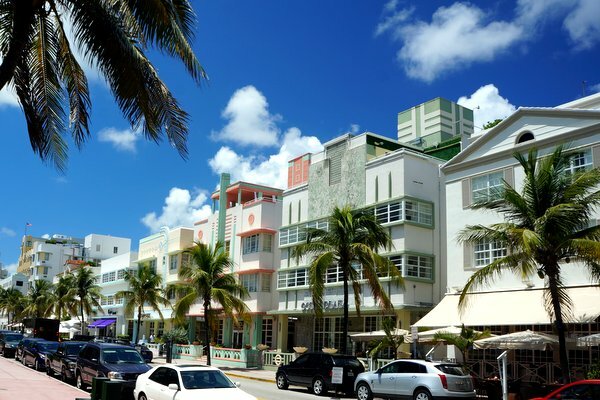 It describes itself as “a quaint drinking village with a fishing problem.” The Coconut Grove is a major strolling zone. Pull out a chair and watch hundreds of bar-hoppers, shoppers and students walk down the street. The major attractions of this place include the Kennedy Park, the Peacock Park, and the Barnacle Historic State Park. Coconut Grove is also home to many popular events and festivals. The Everglades Park, with its 1.5 million acres of swamp and sub-tropical jungles, is one of the most unusual parks in the United States. It is the third largest National Park in the Continental U.S and is a UNESCO World Heritage. 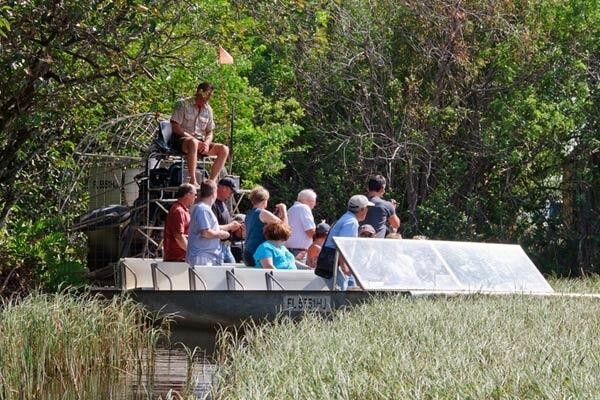 The park is home to 14 rare and endangered species, including the Florida Panther, the American Crocodile, and the West Indian Manatee. A large portion of the park is primitive and can be explored only any adventurist and researchers. But you don’t worry as tourists have ample opportunity to walk, calm and canoe. 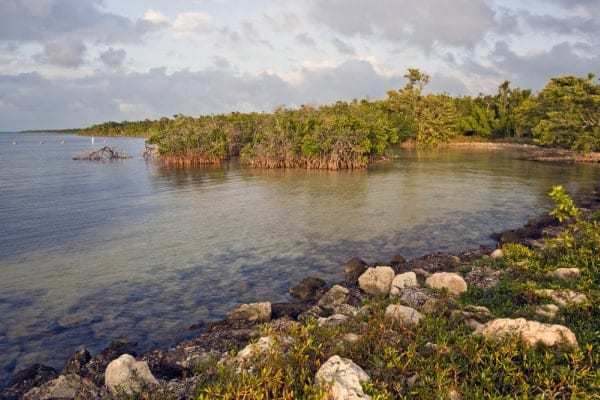 The Everglades National Park is a one-hour drive from Miami. The Ernest Coe Visitor Center will offer you with books, maps and all the information on guided boat and walking tours. The real beauty of the place comes out on a full moon when you can take park in a ranger-guided bike tour of the Shark Valley Trail. If you are tired of visiting the beaches and downtown of Miami, then take a trip to the Coral Gables. Coral Gables, fondly known as “The City Beautiful” is a town consisting of quiet, stately homes, restaurants and upscale shopping located in the heart of Miami. Its giant banyan trees and wide-open streets make it one of the most desirable old-fashioned neighborhoods in the area. Coral Gables is built entirely in Mediterranean Revival Style. The greatest monument to the Mediterranean Revival style, the Biltmore Hotel stands here. It is a recognizable symbol to all the Miamians. The hotel, with its beautiful coral pool and spa, has been attracting visitors from the world since ages. Try to visit Coral Gables on a Friday night to stumble into the city’s most popular happy hour spots. 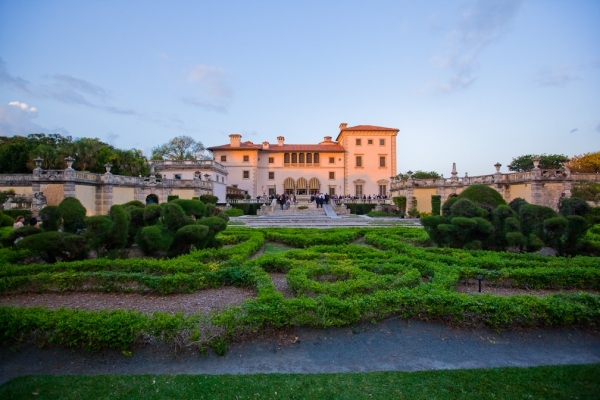 Vizcaya Museum & Gardens is high on the tourist-o-meter in Miami. The rambling Italianate mansion is a former estate and villa belonging to James Deering, an industrialist. It is now owned by Miami-Date County. It is perched right on the Biscayne Bay. It is a beautifully maintained 34-room mansion, surrounded by European-style gardens and fountains dating back to antiquity. The place will take you back in time. Enjoy lunch at the Vizcaya Café and Shop after experiencing the beauty of the Vizcaya Museum and Gardens. 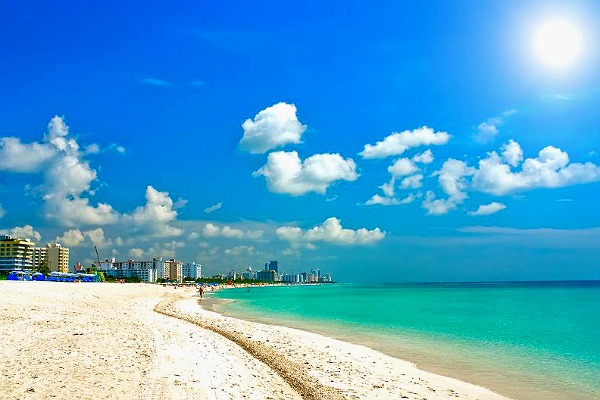 Miami has a pleasant weather that makes it a very popular holiday destination. If you have only a few hours in your kitty, then choose one side of the town and stick with. Or else you may have to spend the entire day sitting in traffic. We hope you liked our compilation. Share your feedback and suggestions by commenting below.